Hello lovelies, today I have to share with you all the products I just can't help repurchasing, being a beauty blogger I have collected way more foundations than a girl with one face needs, I love trying out new ones and seeing which ones are best for me and my skin type but some foundations just can't contend with my firm favourite. 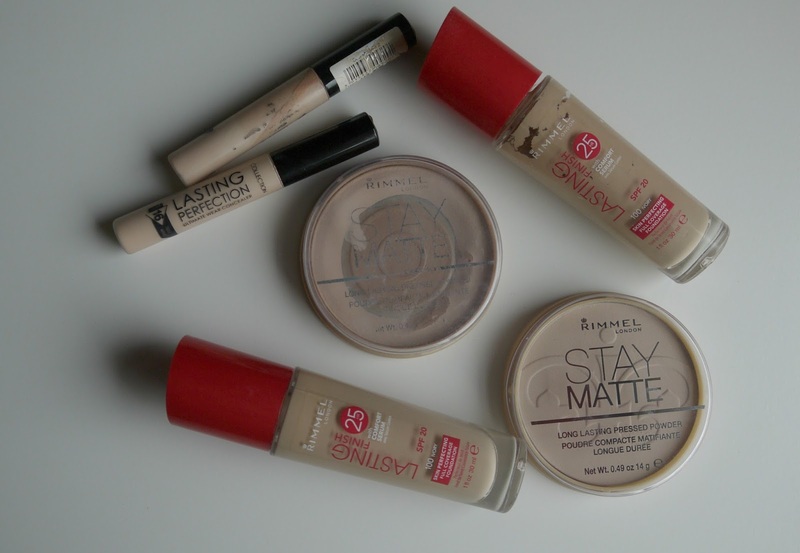 Rimmel 25hr lasting finish foundation - From early teens I have always been a fan of the Rimmel foundations, remember the pink lid one? Also the one in quite flat plastic packaging? I'm sure I got the original one, anyhow I have always been a lover of the Rimmel foundations they just seem to work with my skin perfectly and have the best coverage without being cakey or too much. I like a full coverage foundation and this does exactly that for me, it lasts all day and night! 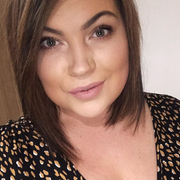 I haven't worn it for the full 25hrs because well that would just be gross but I have wore it on a night out and its stayed put without any nasty patches or clinging to any dry patches. I think the lightest shade they do is Ivory so may not be the best for really pale complexions but Ivory suits me to a T and I'm pretty pale. It has spf in it so great for the summer but it also doesn't make you look shiny in photographs, not that I've had any problems with that in the past anyway. I would highly recommend this product if you love a medium to full coverage foundation and you want it to last a good solid day, if your a busy worker and don't have five to stop and touch up you need this in my life, thank me later. Collection lasting perfection concealer - No concealer has come close to this, not on the high street anyway, the Nars creamy radiant concealer may be a good contender but that's three times the price, maybe more! So for under £5 this is a pretty amazing concealer, it stays put all day, it's creamy and makes my eye bags smile. It helps illuminate under my eyes from being tired and drab to awake and fabulous, atlas that's how I feel anyway. The perfect concealer for contouring too, I always buy this in the lightest shade to give my face that awake look! I have bought it in my shade for blemishes but I hardly suffer with them unless its that time of the month. Its small and sleek so fits easily in your make up bag and easy for touch ups with the doe foot applicator, I'm still yet to find a high street concealer as good as this bargain. Rimmel Stay Matte long lasting powder - Another Rimmel product, they just don't seem to let me down make up wise, I honestly think if I could only have one make up brand for the rest of my life I would most likely choose Rimmel, I know bold statement right there but there pretty darn good with their beauty releases. This powder just sits on my skin lovely and I never need to touch up an I have one hell of an oily t-zone. It isn't cakey at all I apply this to my face using the Real Techniques powder brush and it just does its thang. It does cling to my dry areas around my nose but that's usually my fault if I haven't prepped my skin with a primer or moisturiser, sometimes theres just not enough time in the morning, but over all a great powder that I always buy when I hit pan. Have you got any beauty favourites that your always repurchasing?